This example will show you how to extract information from the print job and use it to set the document subject. A sample document is included for use in this example. It contains a comment, which we would like to extract and use as the PDF subject. 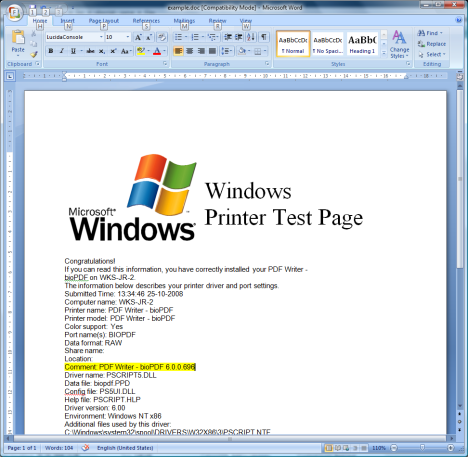 The image below shows the sample document with the highlighted comment. When the document is printed we use an event handler for the OnPreprocessText event to parse the text representation of the print job. Below you will find the implementation of the event handler.